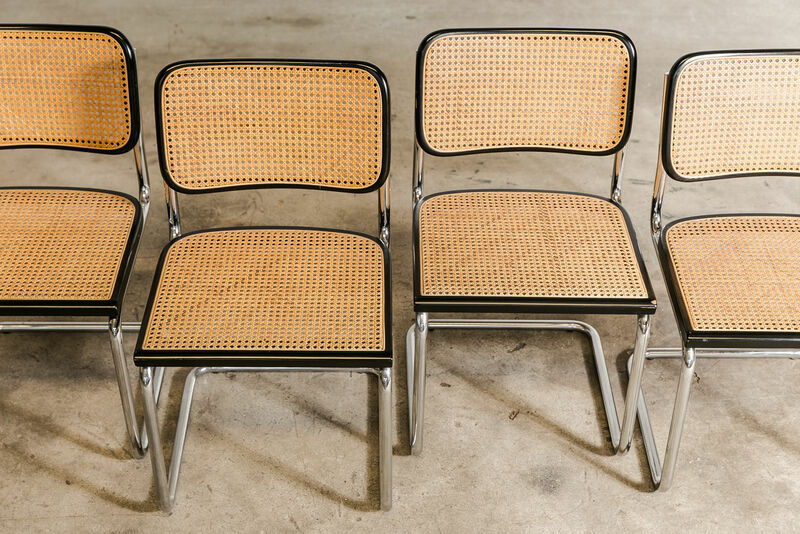 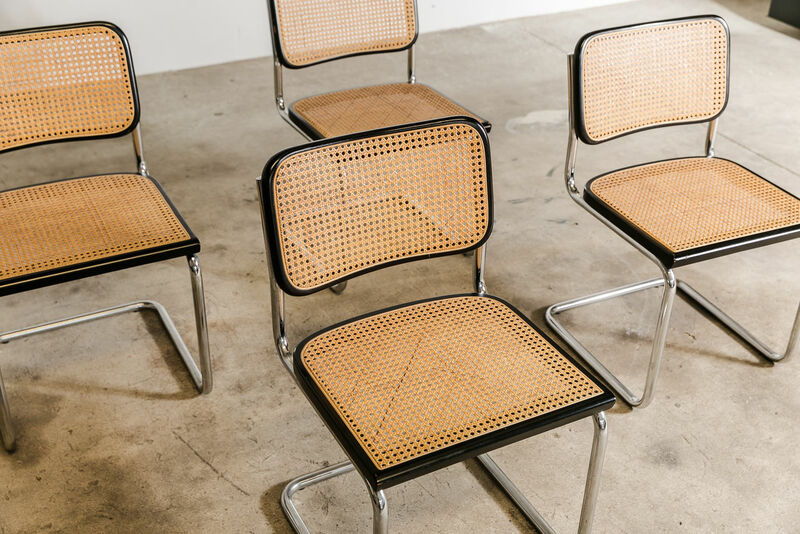 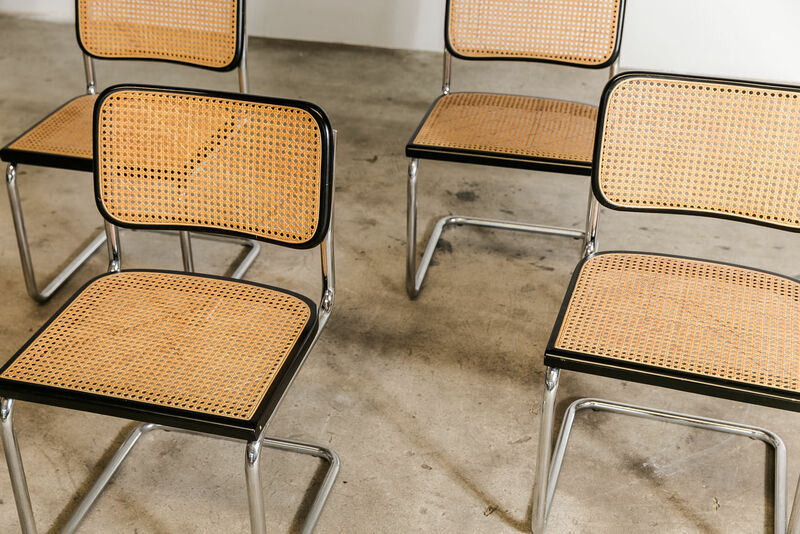 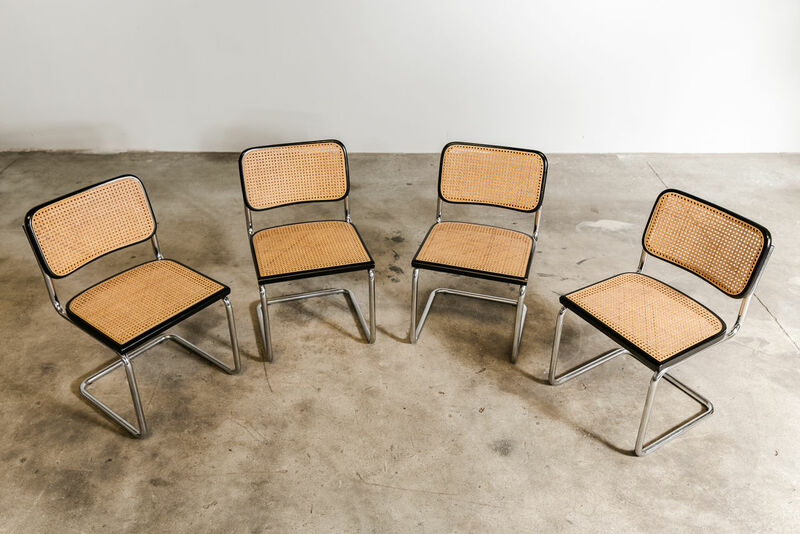 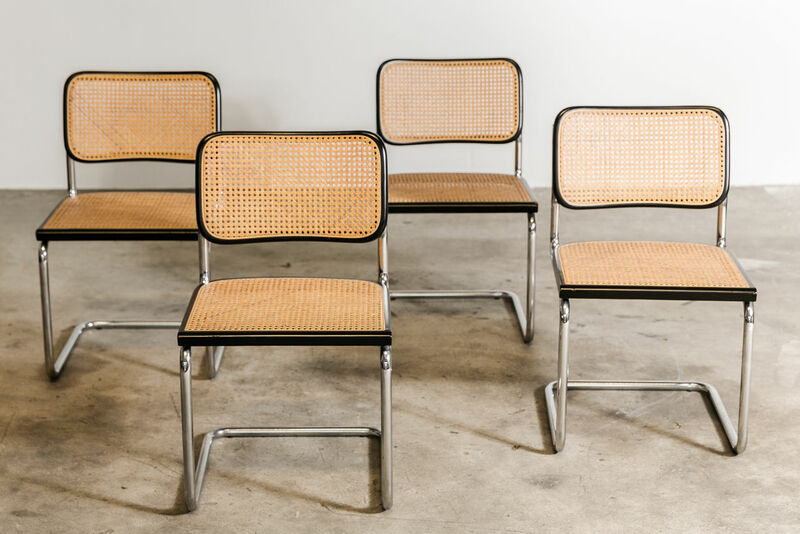 Set of four B32 Cesca Chairs by Marcel Breuer | Castorina & Co. 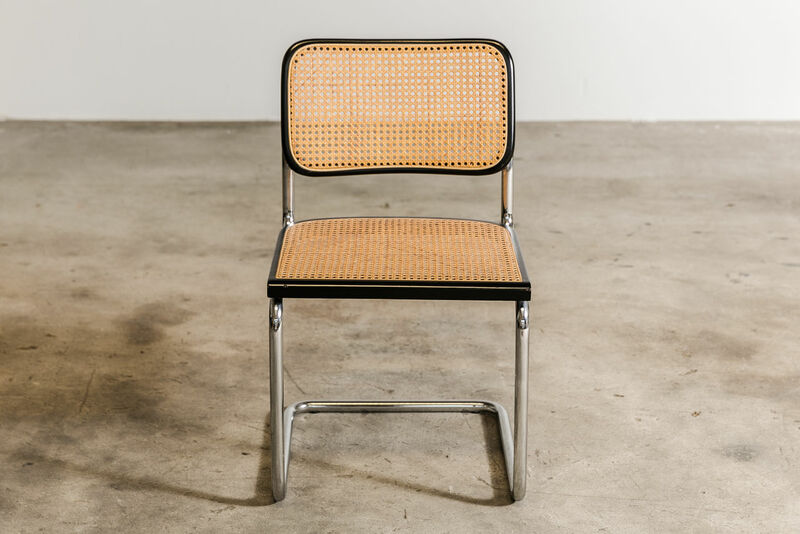 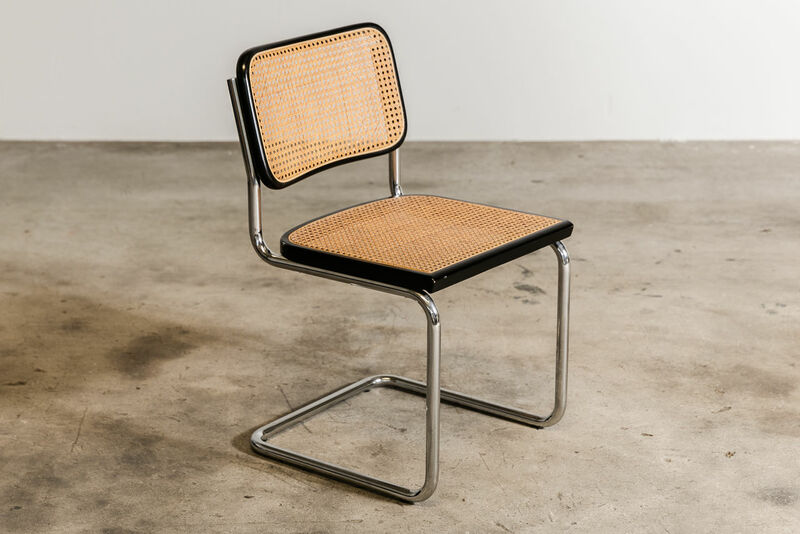 The B32 side chair was designed by Marcel Breuer for Thonet in 1927.These original Thonet chairs are made of chrome-plated tubular steel, black lacquered bentwood and cane. 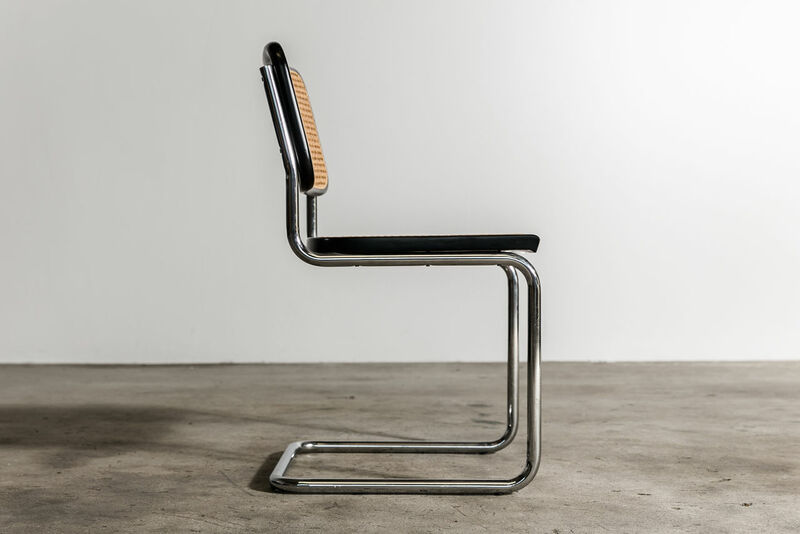 For this design, Breuer was inspired by the cantilever chair of Mart Stam, who designed it already in 1926.The first producer of the B32 was Thonet, starting in 1927.Later in the 1950s, Gavina also started making them with Breuer's blessing and participation. 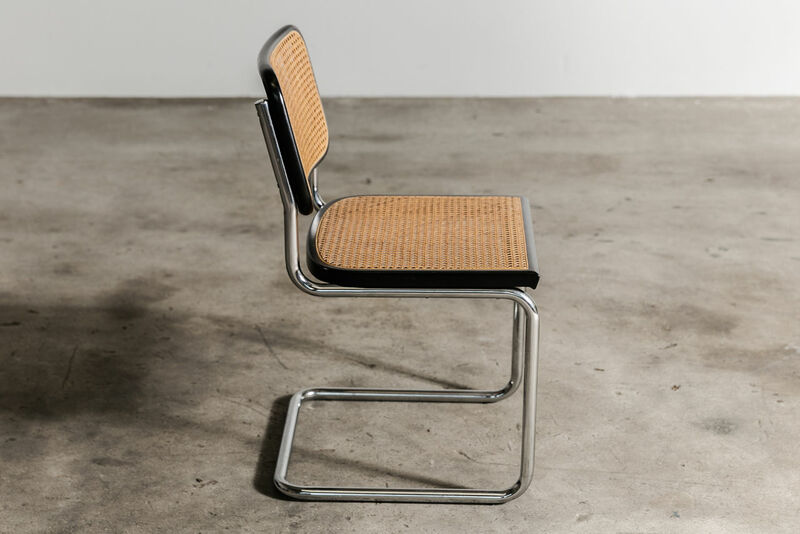 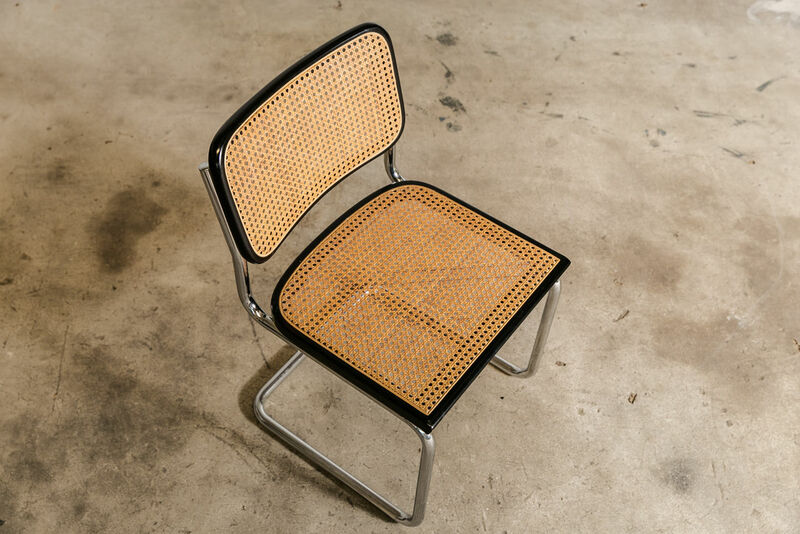 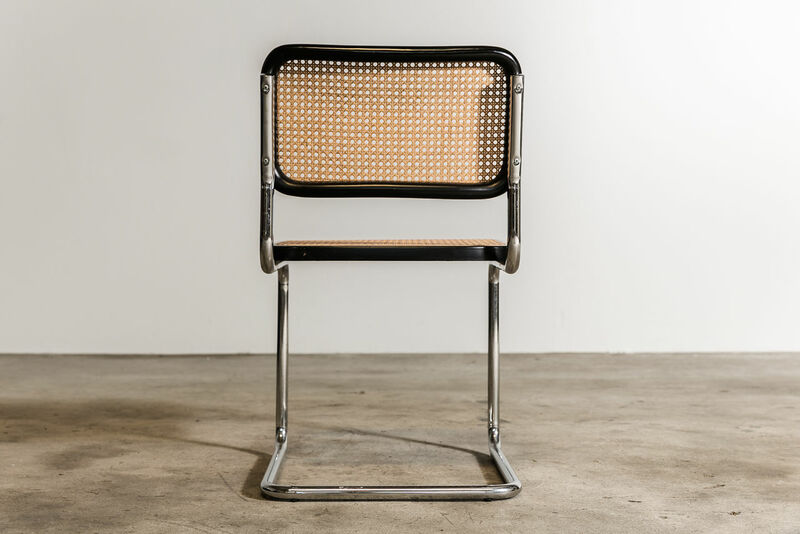 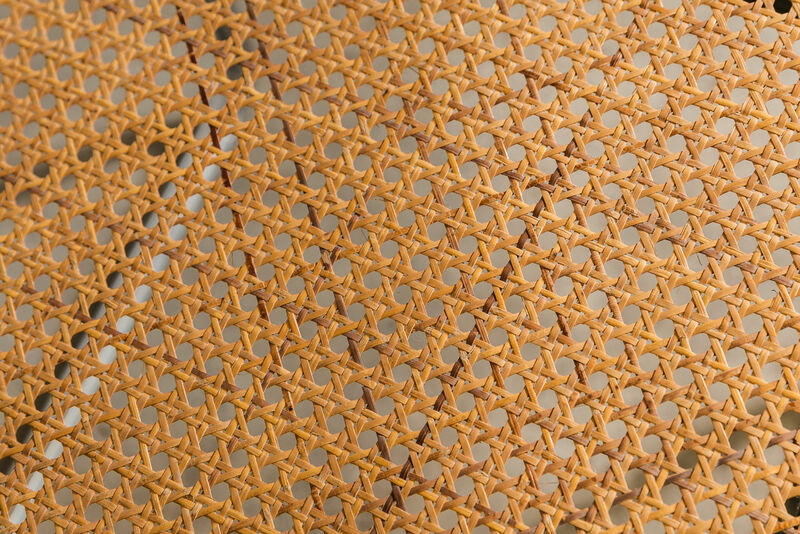 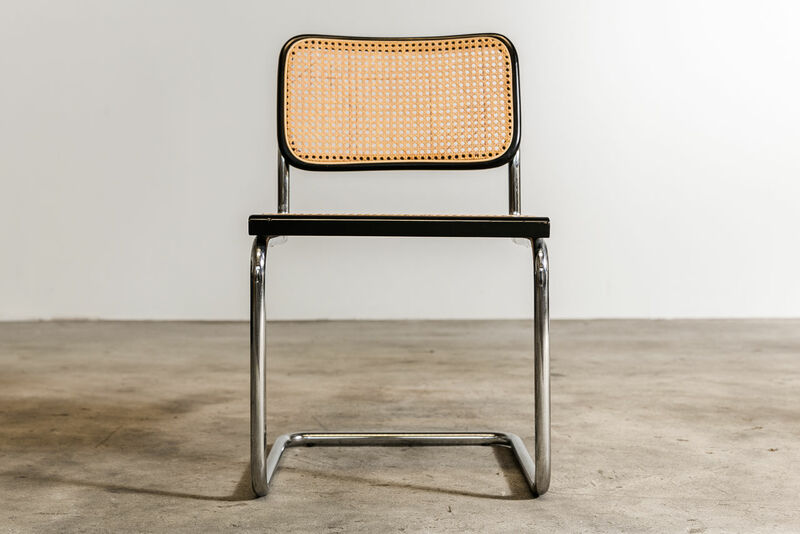 Gavina was the first to name the chair the "Cesca," after Breuer's daughter, Francesca.